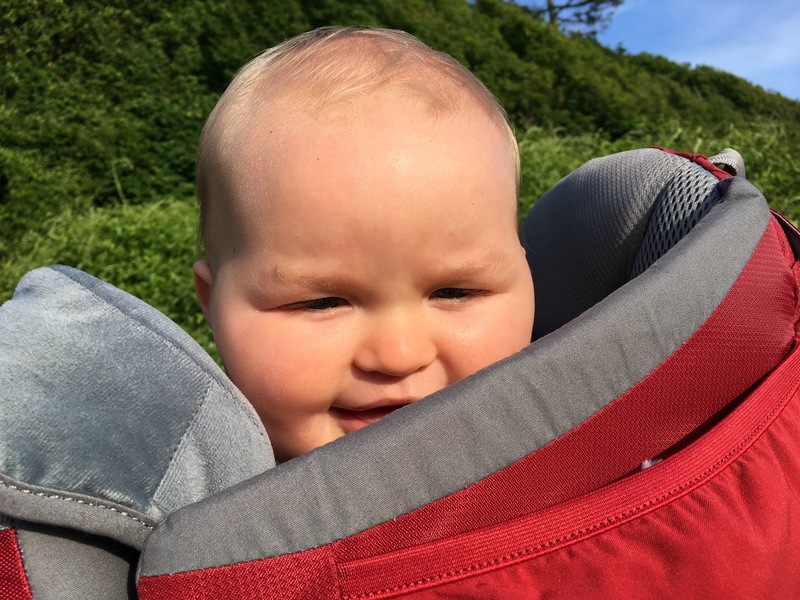 When we started planning our first family holiday one of the first things I wondered, aside from how on earth everything would fit in our car, was how adaptable we would be whilst away with a baby. This holiday wasn’t only special because it was Elsie’s first, but we were also celebrating her Grump’s 60th birthday by taking him back to one of his favourite places in Devon. We’d spent many a summer holiday there and we couldn’t wait to create some new family memories with our new little addition. My Dad loves exploring remote beaches and so I knew that lots of walking would be involved in our daily trips whilst away; I wasn’t wrong. It’s no surprise to hear that I’m not the outdoorsy type. Being outdoors usually involves three of my most “un-favourite” things: getting dirty, getting sweaty and bugs. But I do like a beach and if there’s one thing I was excited to do on this holiday it was to take Elsie to all the beautiful beaches I loved visiting as a child. So before we set off, in the midst of frantically packing everything we owned, I got in touch with the lovely team over at Deuter UK. They very kindly offered to work with us to help make our first holiday extra special by sending us the Kid Comfort II. The seat can be adjusted both in height and width to grow and adapt with your child. It comes with little foot rests to provide extra comfort and support. A large cushioned head rest, which is detachable and washable, providing extra comfort so that naps can be taken whilst out and about exploring. Air contact back system with breathable hollow chamber foam. A sturdy aluminium frame for maximum stability. Pivoting Vari Flex hip wings that follow movement smoothly and securely. Easy to use side entry for simple access and dismounting. We were so impressed with how easy the carrier was to use, with minimal instructions required. The straps were easily adjustable and all you needed to bare in mind was keeping baby’s head in line with the supporting chin cushion. The design of the carrier is top notch. It’s obvious that this product has been tried, tested and adapted to be the very best. It’s materials are durable and comfortable in all the right places and it’s frame is super light and compact making it the perfect all-weather outdoors companion. It’s comfortable. The materials are breathable and soft making the carrier easy to wear for long periods of time. The Vari Flex compartment, where baby sits, gives them the feeling of movement and freedom whilst being safely and securely fastened in place. It’s practical. The numerous pockets and compartments are a real plus when travelling with a child, giving you ample places to store all those must-haves such as nappies, wipes, bottles and comforters. It’s sturdy. The aluminium frame makes the carrier super safe and easy to place baby in it with it’s adjustable stand that clicks in and out as required. 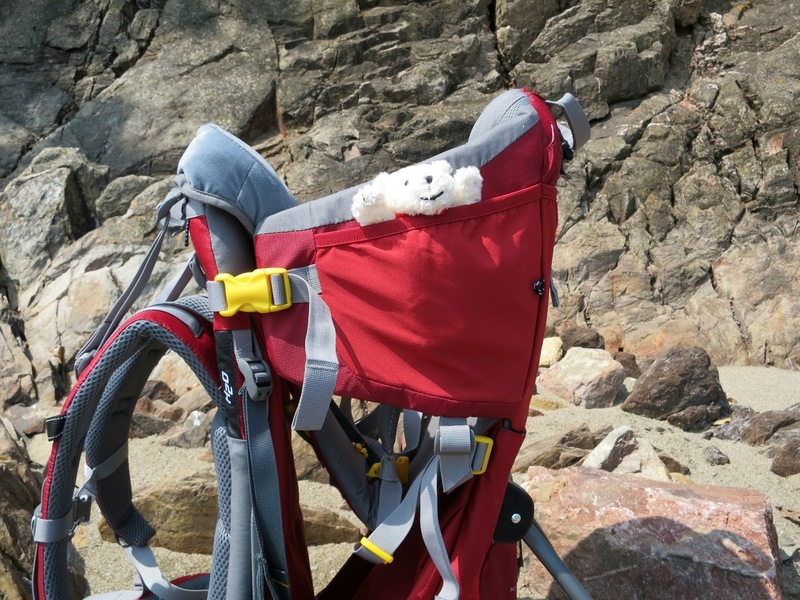 The Kid Comfort II was a life saver whilst we were away. We were able to explore remote beaches and take long walks without any restrictions. Elsie absolutely loved being in her carrier and one of our favourite holiday memories will be her face as it lit up when she was placed in it, bouncing up and down with excitement. 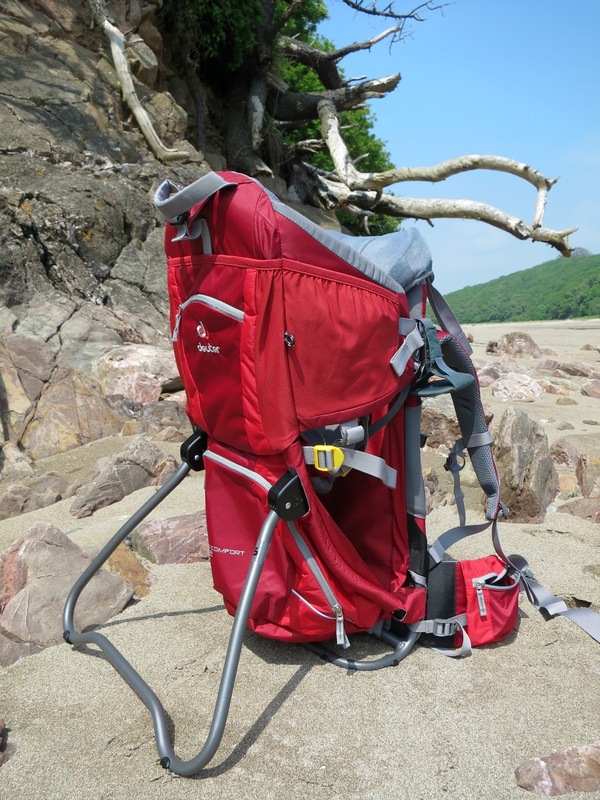 Although perhaps a little on the pricey side, I do think that the Kid Comfort II would be worth the investment for any family looking to travel or enjoy the outdoors as much as they did pre-baby. It was an absolute joy to watch Elsie experience her first holiday from a great height, (her Daddy is pretty tall) and it made each excursion feel like an adventure with her safely and happily strapped into her carrier whilst we started to make new memories with our new little family. If you’d like to see more of how we got on using the Deuter Kid Comfort II then check out the video we made whilst away. You’ll have to excuse my mug, Elsie doesn’t give Mummy much time for any pre-vlogging pruning! I won’t be offended if you close your eyes and just listen to my voice instead. 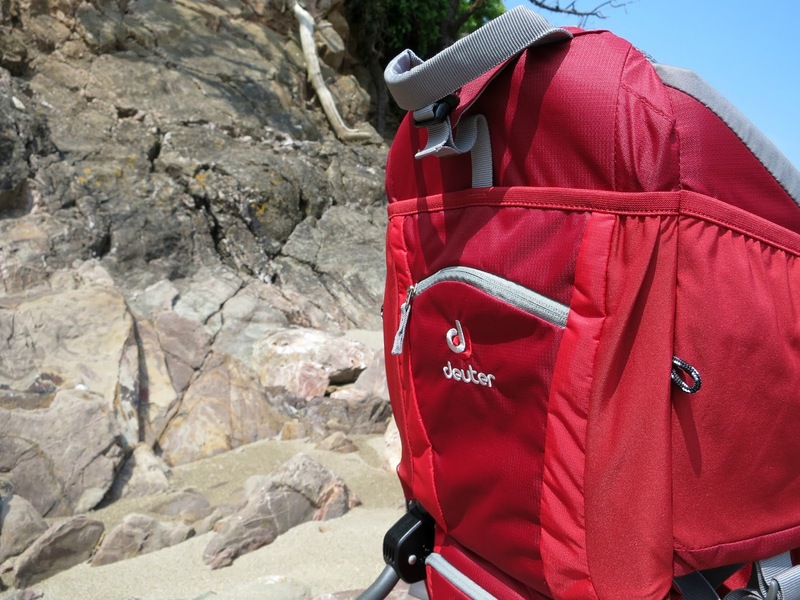 Thank you so much to Deuter for making our first family holiday experience so much easier!